Students work with the Program Director who serves as a personal Academic Advisor to arrive at the best possible individualized program for each student. As a foreign-trained attorney, one’s background, as well as future goals, are considered. 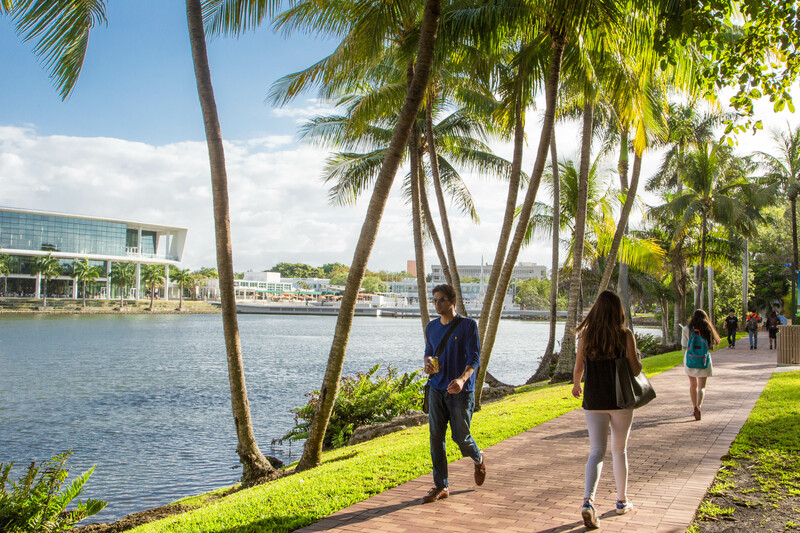 There is also an orientation for International Students designed to assist with the transition to living in the U.S. and most specifically, Miami. There is also career Advising from a career services advisor who has special training in assisting international LL.M. students. University of Miami School of Law gives students the option to earn a joint J.D./LL.M. Students that are interested in applying to the joint J.D./LL.M. degree should consider taking one basic U.S. Law course in the fall semester that demonstrates his or her ability to handle J.D.-level work. It is also advantageous to study with at least one member of the tenure-track faculty. By the spring semester, students can discuss with an advisor other academic requirements that will need to be satisfied. In the program, students engage in a comparative study of the U.S. legal system with that of the region where they earned their law degree and those of their classmates and colleagues. Students must complete 24 credits with a minimum grade point average of 2.30/4.00 in order to receive the Masters of Law in International Law degree with a specialization in U.S. and Transnational Law for Foreign Lawyers. Many students pursue different paths in reaching this goal. Most students will take an additional two courses in the fall semester and four courses in the spring semester. Students must have 24 credits to graduate, and the exact number of courses taken depends on how many credits are associated with each course. Students studying on less than a full-time basis should begin with the two required courses in the fall semester. These courses are intended to give a foundation in American common law doctrine as well as the approach to written analysis in this system. Some students are particularly interested in taking courses that will introduce them to the American Legal System. One approach would be to register for some of the first year required courses for J.D. students. First-year students at UM are required to take: Contracts, Torts, Civil Procedure, Property Law, Constitutional Law I, and Criminal Procedure. In addition, many of our foreign students will take upper-level courses such as Business Associations and those that relate to the individual, long-term professional interests.